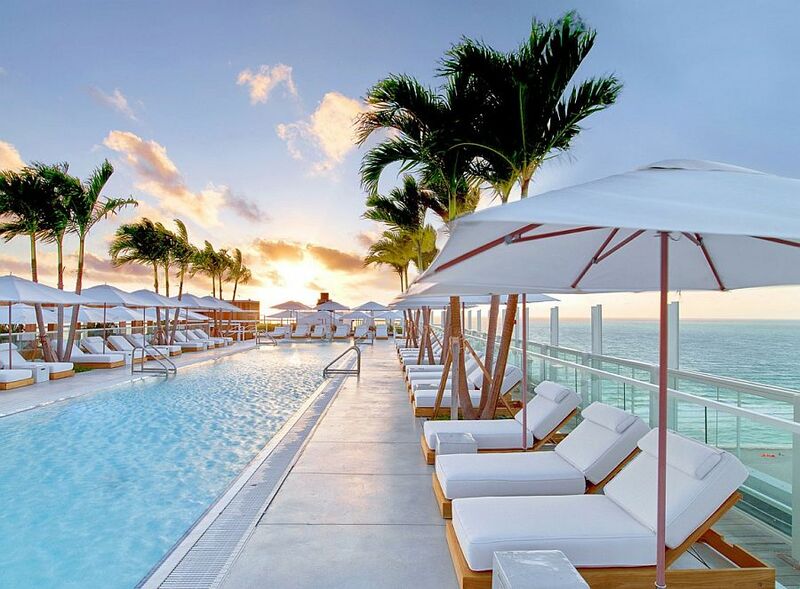 Think of Miami and the mind automatically conjures up images of white sandy beaches, plenty of sunshine, never-ending parties and a world of luxury draped in glitz and glamour. 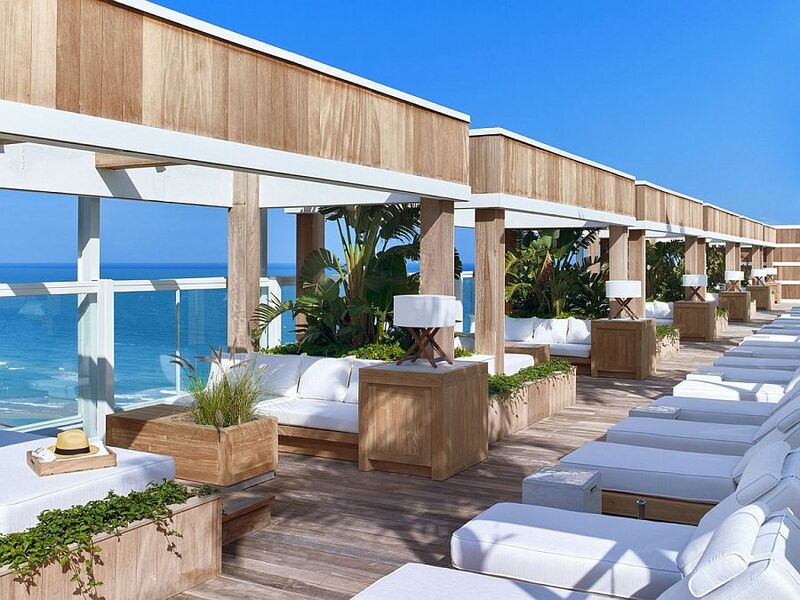 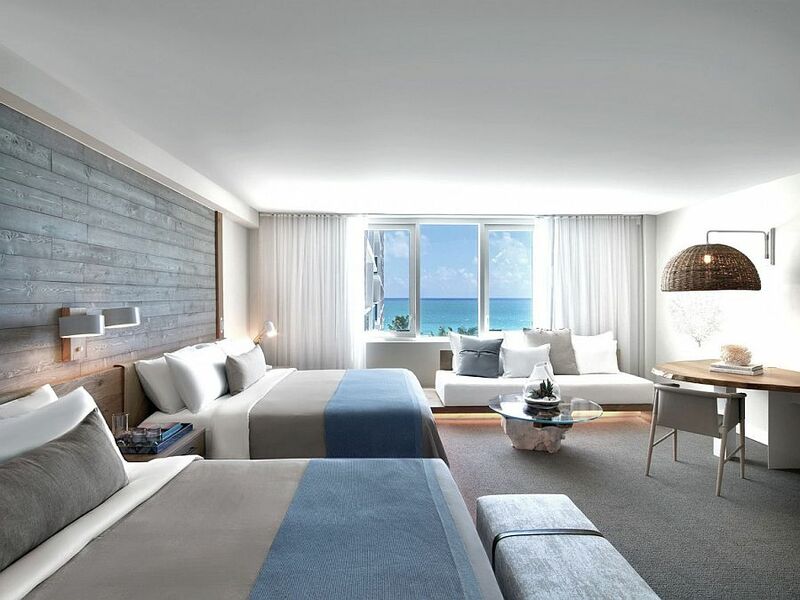 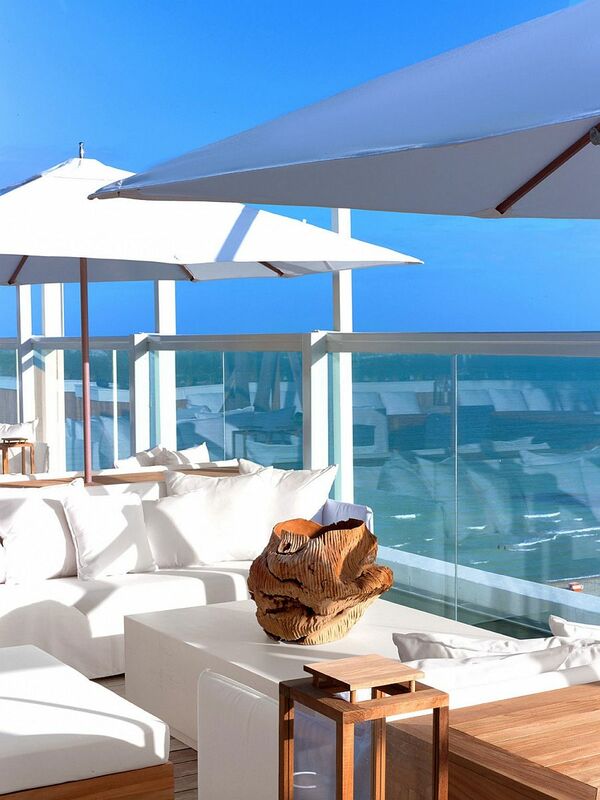 Nestled on 600 feet of pristine beachfront property and overlooking the majestic Atlantic, the gorgeous and relaxing 1 Hotel South Beach is the latest jewel in the glittering lineup of luxury retreats that the city has to offer. 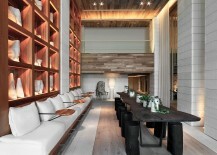 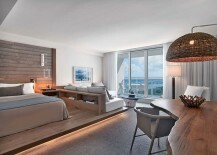 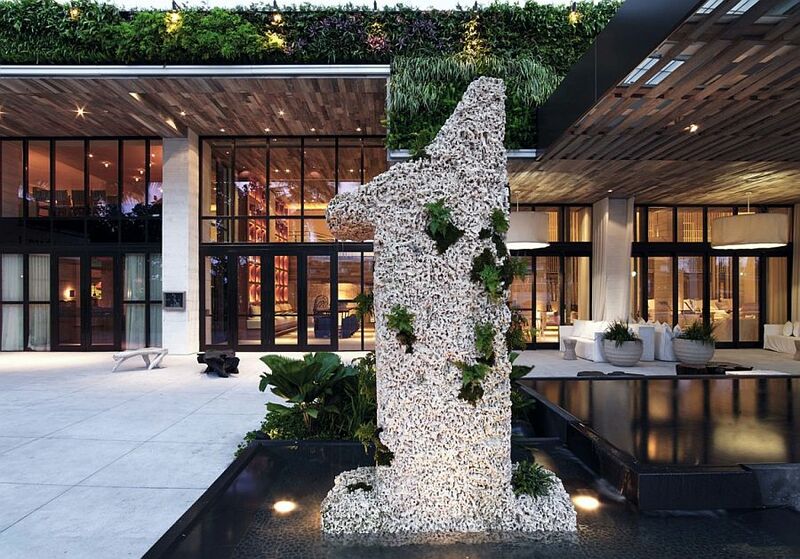 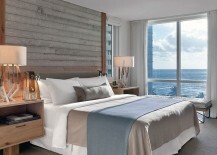 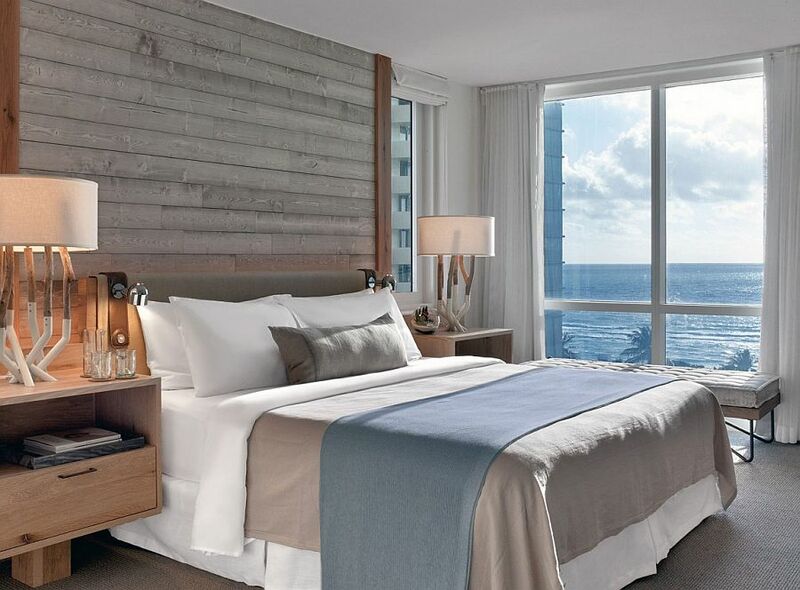 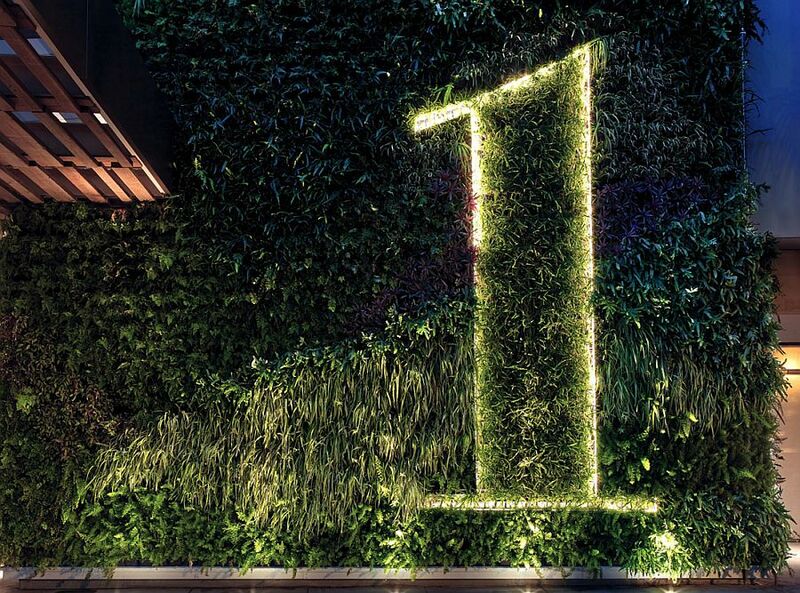 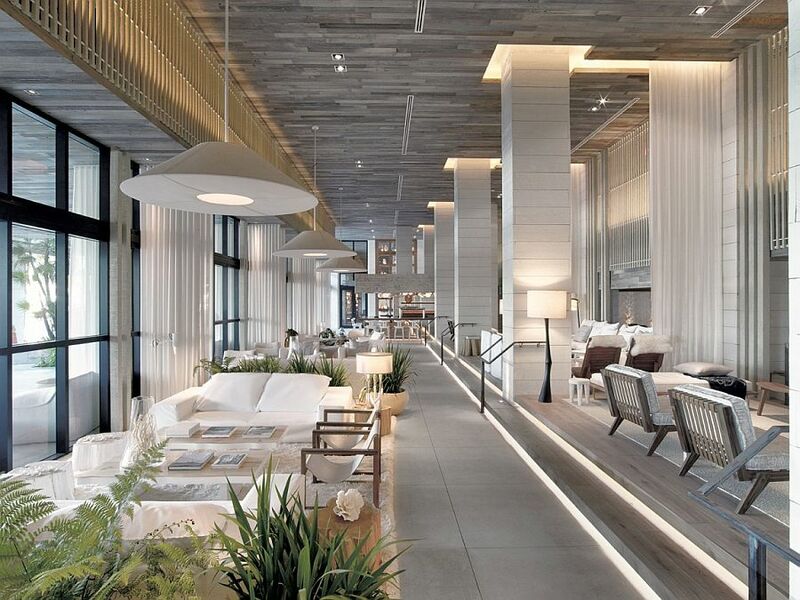 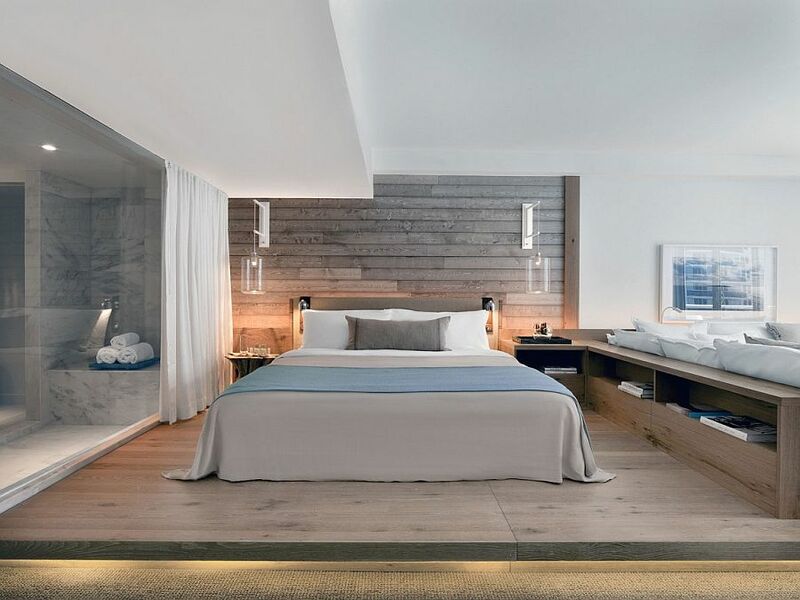 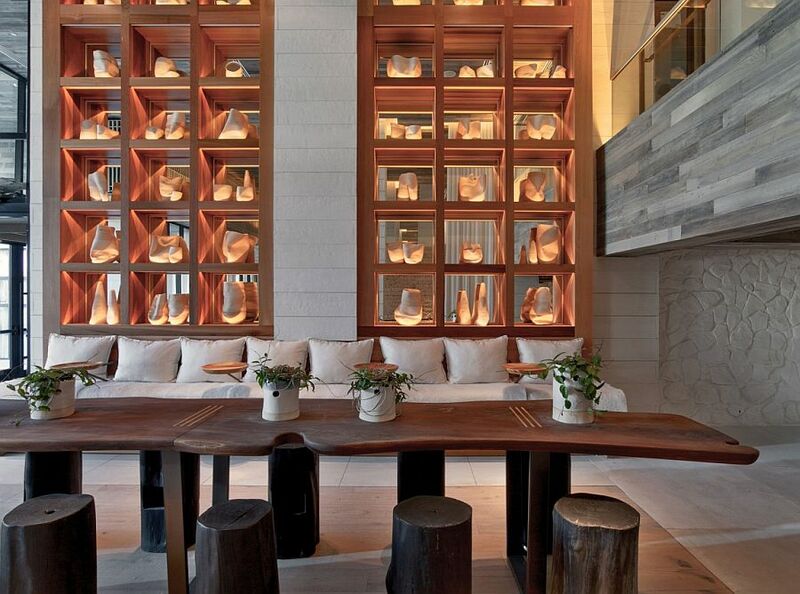 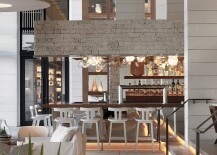 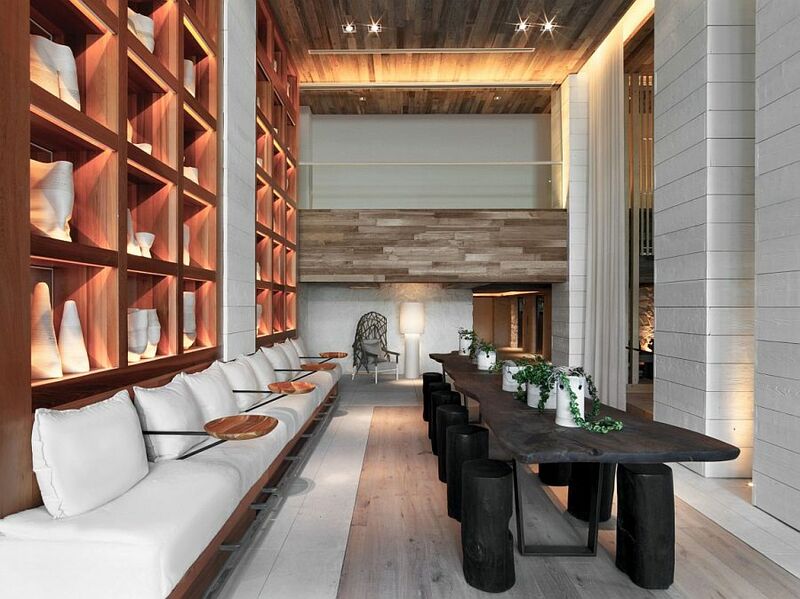 Offering 426 guest rooms that feature unabated views of the coastline, the ocean and the sparkling skyline of Downtown Miami, this is an opulent escape that combines tranquility and rejuvenation with a hip, happening lifestyle. 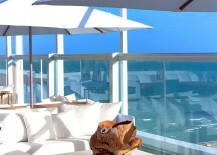 Guests arriving at the 1 Hotel South Beach have an array of 84 studio suites and 1 spectacular oceanfront presidential suite to pick from. 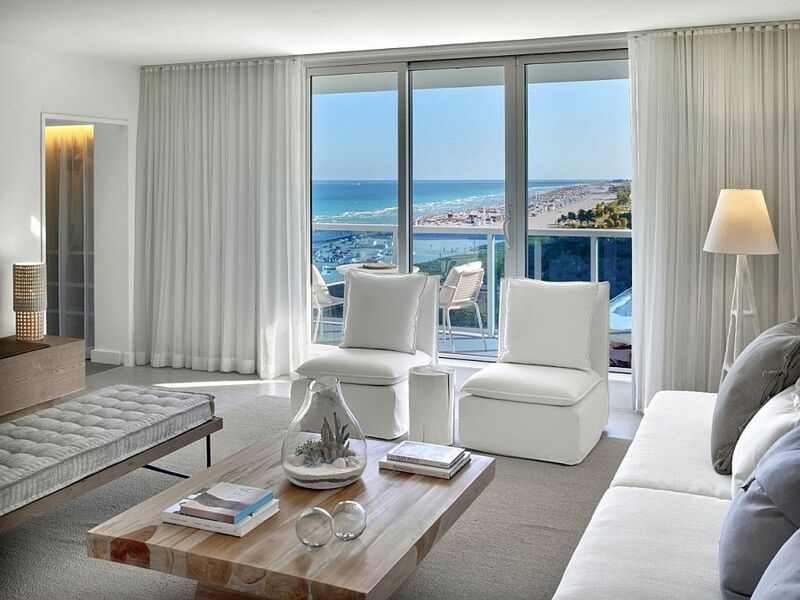 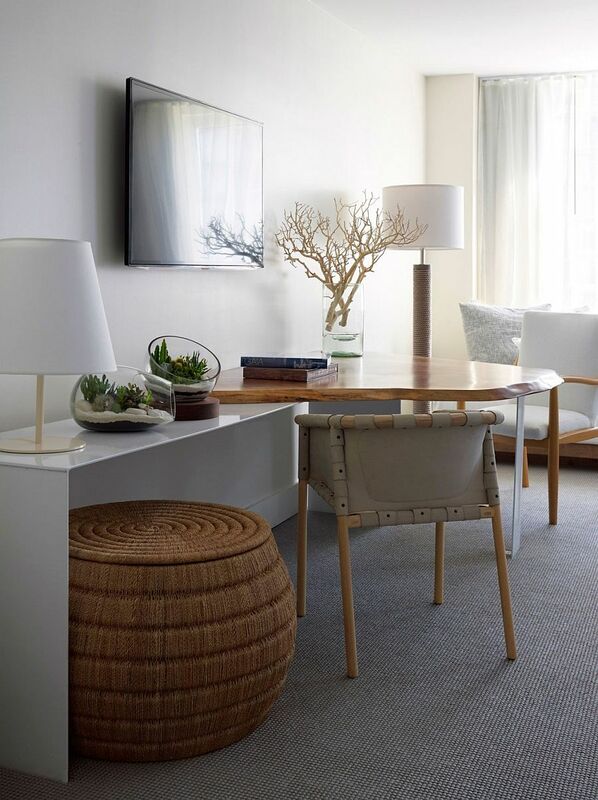 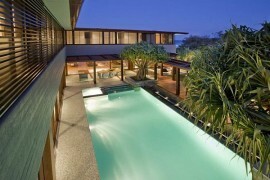 Designed by Meyer Davis Studio Inc., the interiors reflect the landscape outside with a neutral color scheme that relies heavily on white beach-inspired themes and hues, along with pops of elegant blue that complement the vast ocean just outside. 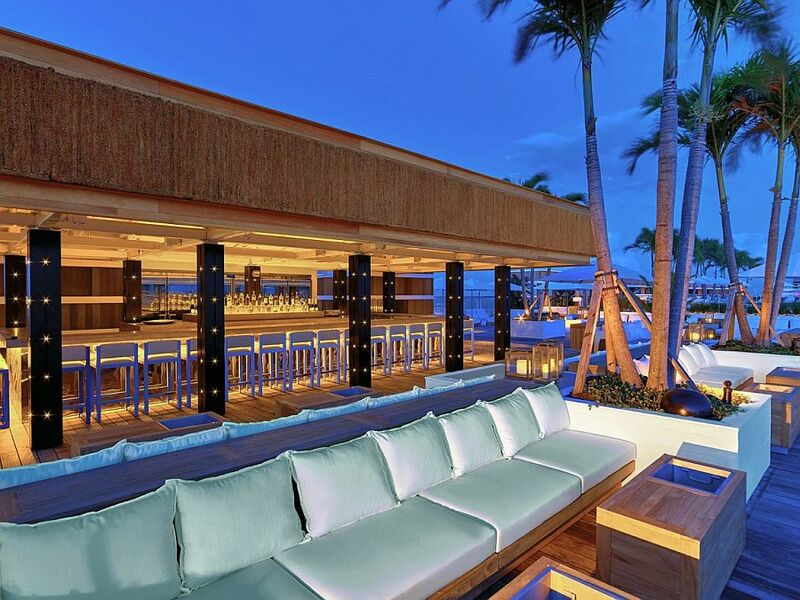 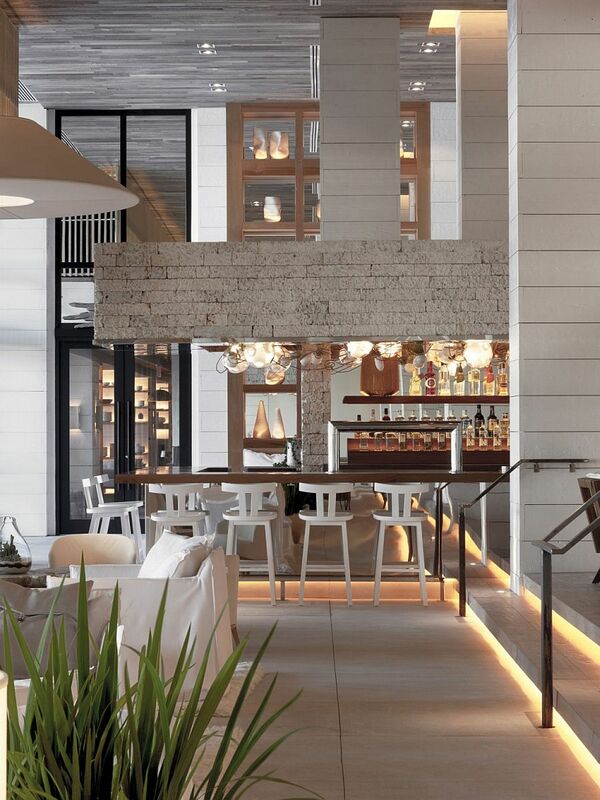 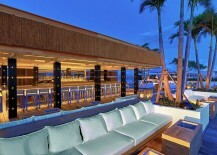 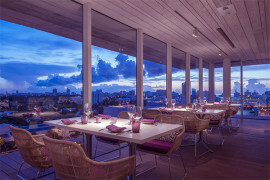 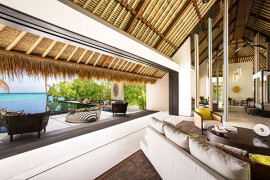 Features such as the lobby lounge bar, poolside restaurant and a signature hotel restaurant with dreamy ambiance ensure that your stay here is enhanced by world-class cuisine and a dash of intoxicating Miami goodness! 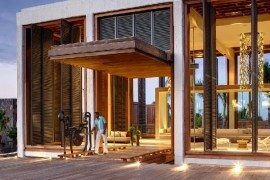 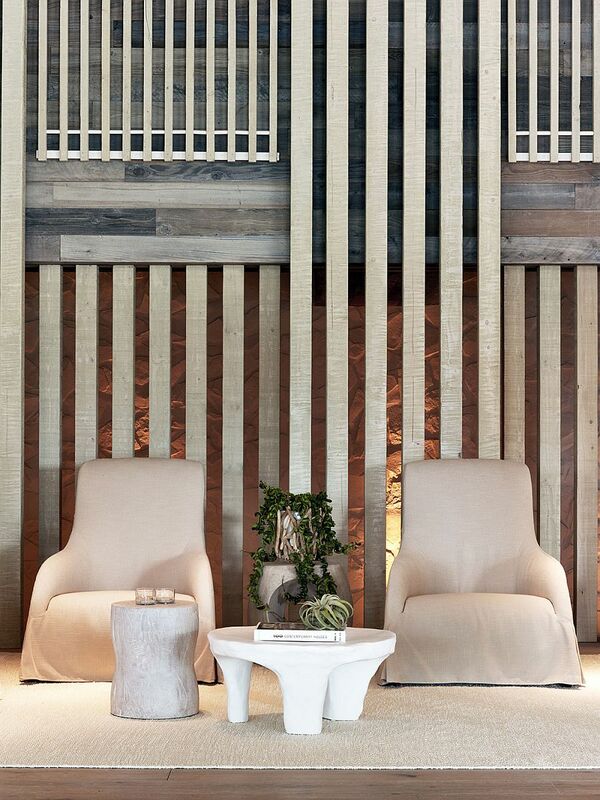 While a stay here soaking in the sun and taking in the sights and sounds outside might be enough to leave you rejuvenated, there is also a full-service wellness center & spa that will aid in speeding up the healing process. 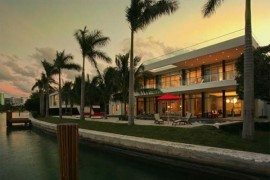 Beautiful, soothing and classy, this is the perfect base from which you can explore the many scintillating delights of Miami.